I suspect you’re familiar with this internal (and ETERNAL) battle. 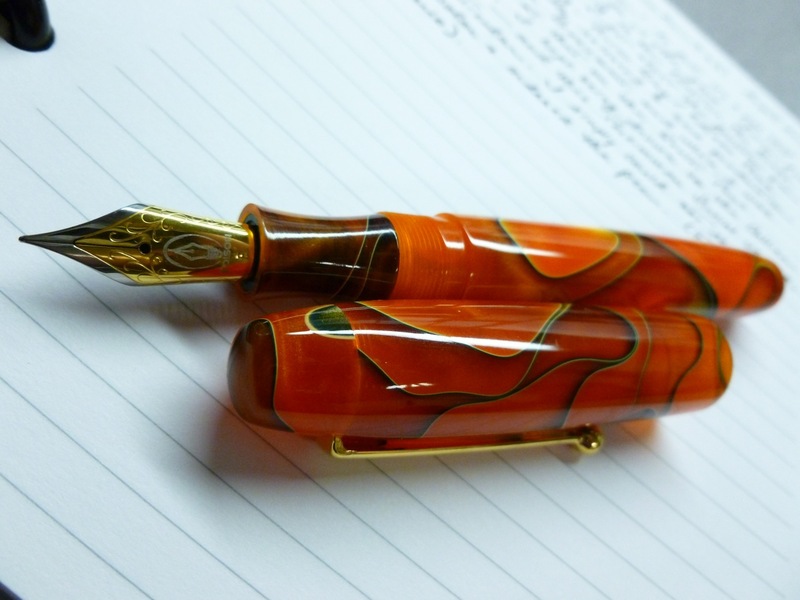 See pretty pen. 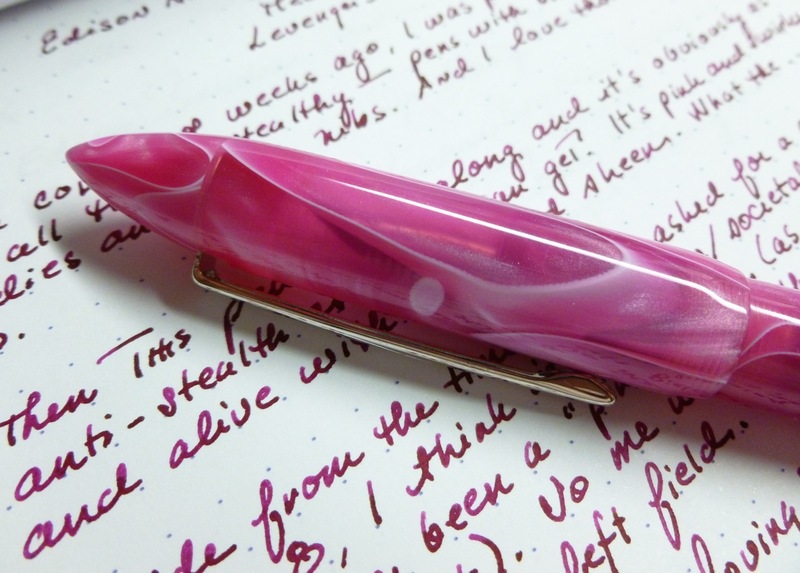 Want pretty pen. 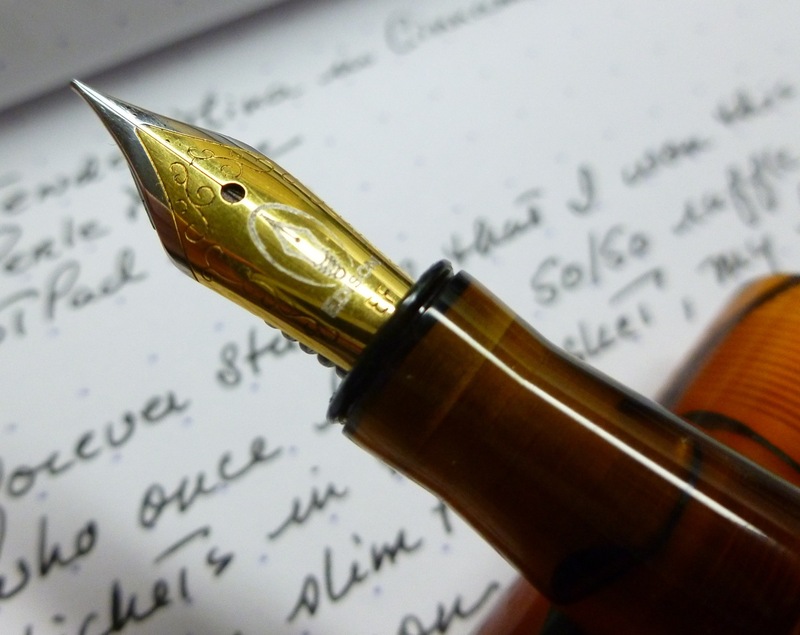 Problem is, you only have two hands (and really, only one that can write anything), and way more pens than hands. Way more. Like, you’re on your way to becoming one of those people with goat paths that lead from one cluttered room to another. 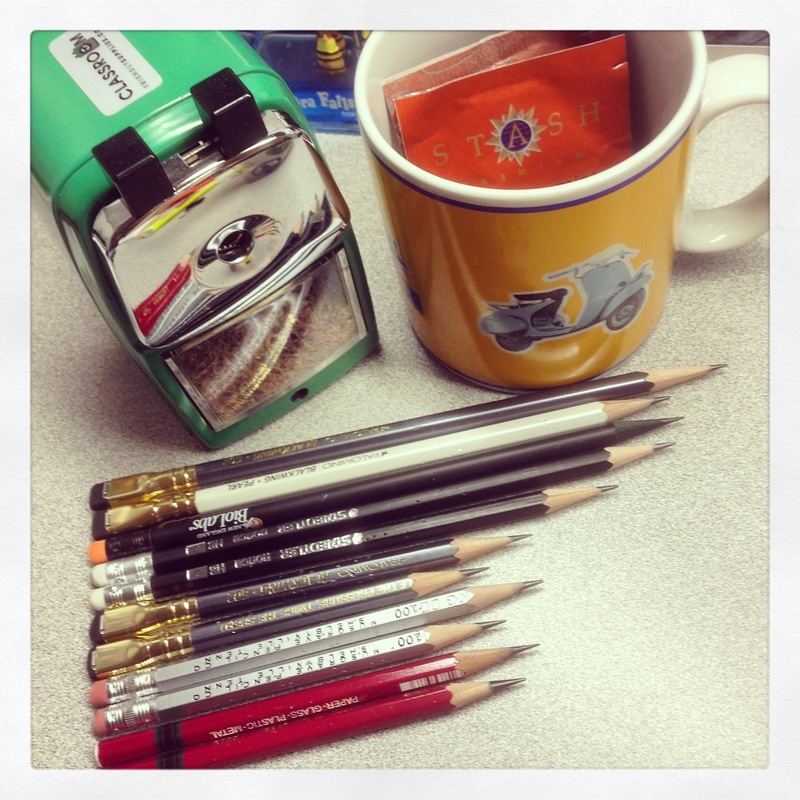 The pens, I’ve noticed, tend to pile up. But, GAH, you want this pen. So the angel and devil both start whispering in opposite ears, each trying to outmaneuver the other. The ping-ponging conversation continues until you’re exhausted by indecision. But, oh, how that pen speaks to you! 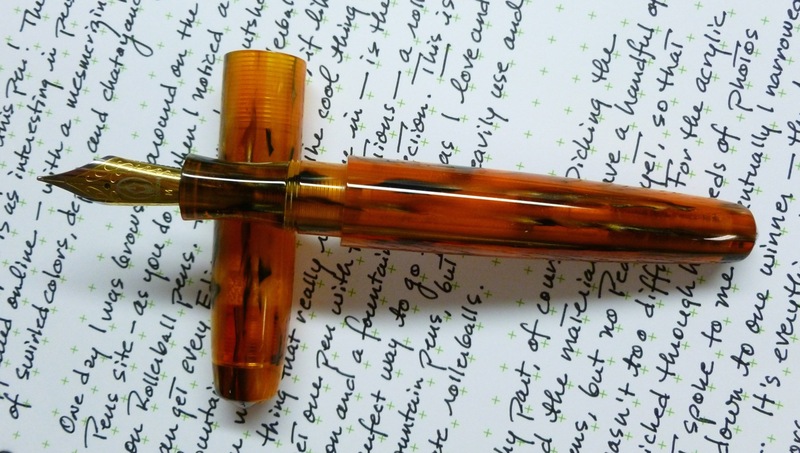 Such was the scenario when I saw this slightly used Edison Collier in Antique Marble on Gary Varner’s former Notegeist site. I did my best to look away, but I couldn’t unsee that pen. I appealed to my sense of reason. 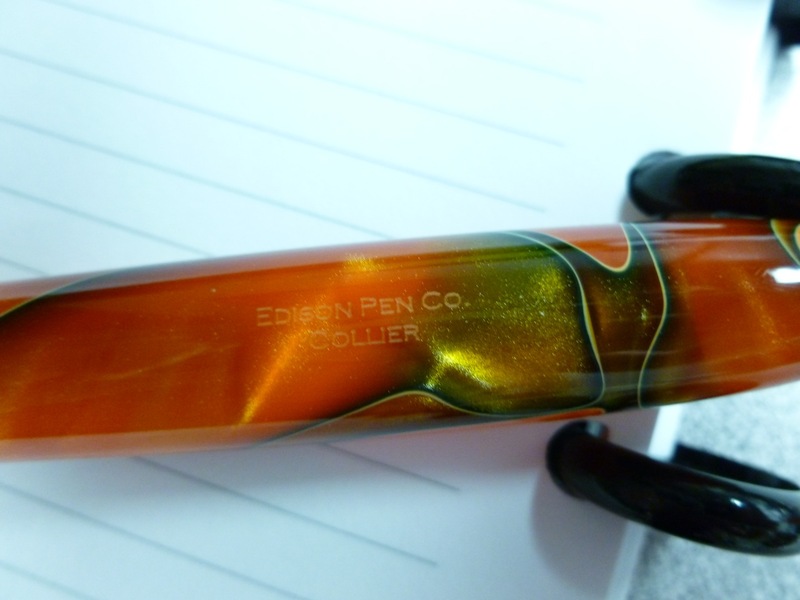 I already own an Edison Collier in Persimmon Swirl. (Talk about a looker!) 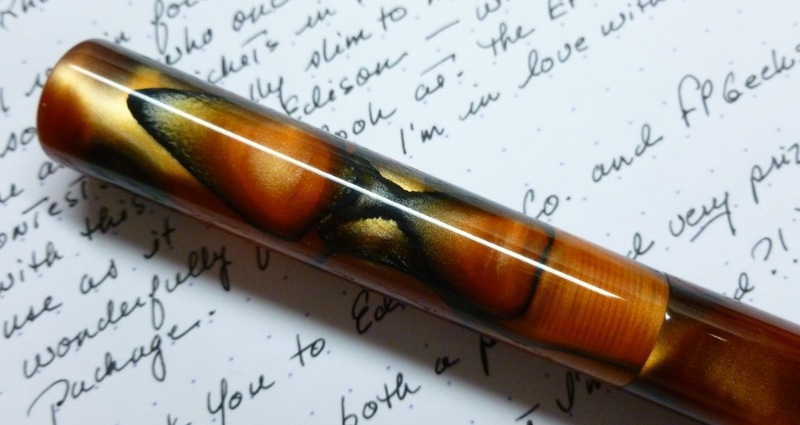 AND, I already own an Edison Pearl in Antique Marble. So neither the model nor material were new to me. I really DID do my best to ignore it, thinking that someone else would snap it up and make the decision moot. But no one did. The price, I should mention, was excellent. A real steal. I stewed and rationalized and waffled in both the “buy” and “don’t buy” directions. 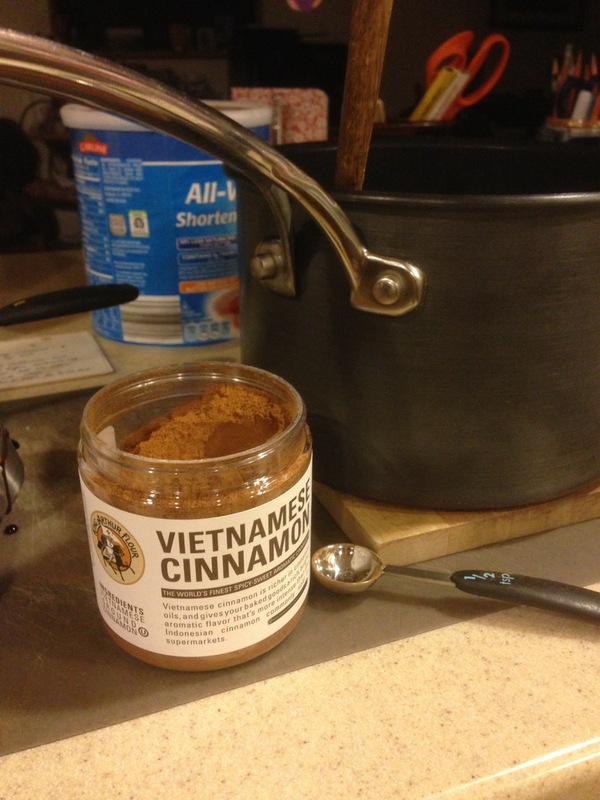 I burned brain power and calories thinking about this, so strenuous was my thinking. You’re smart. You know how this particular tale turns out. I bought the pen. The price was too good. 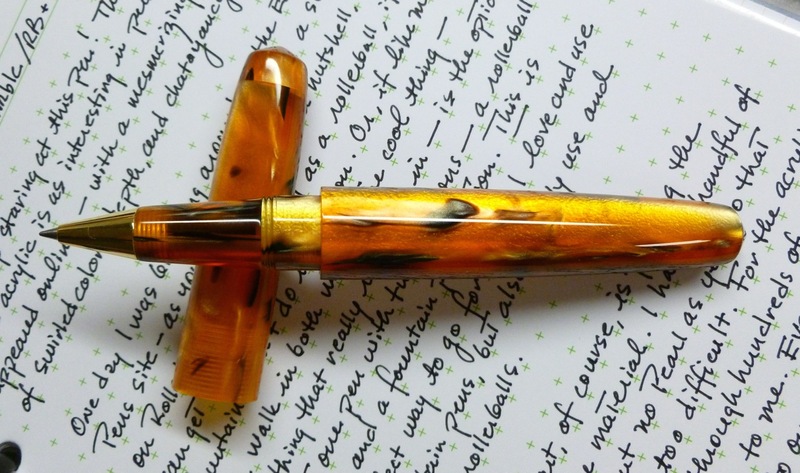 The pen, too gorgeous. The Antique Marble acrylic is slightly translucent and beautifully swirled. 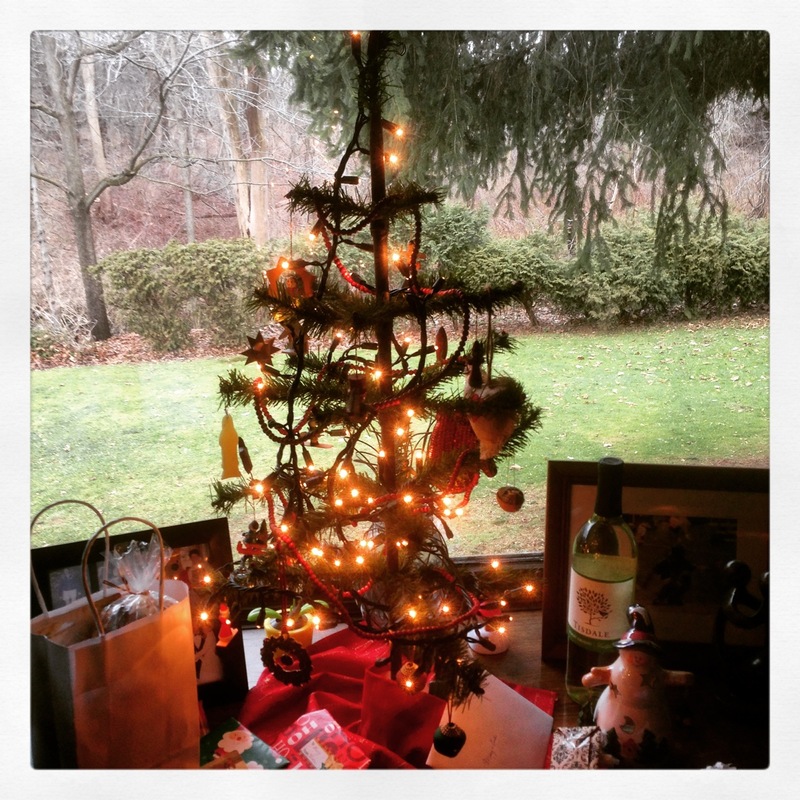 There’s chatoyancy and depth and glow. The colors are my colors. 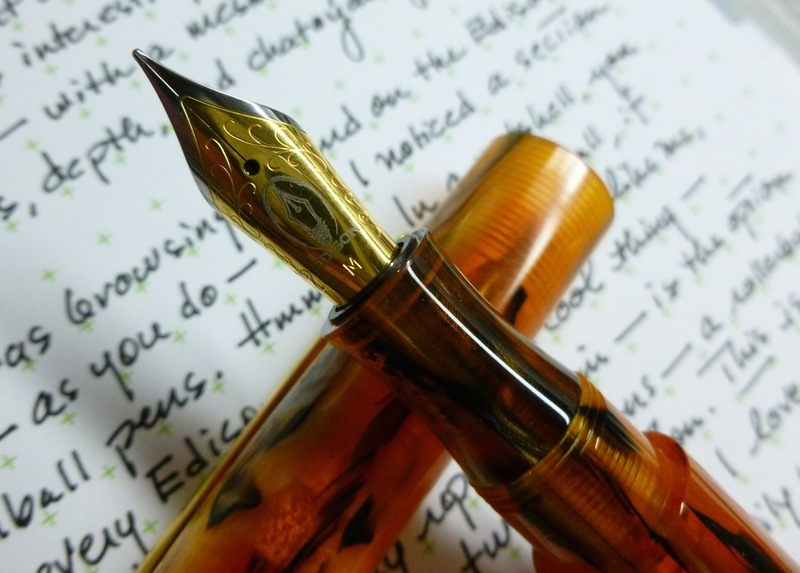 The fine nib writes wonderfully. 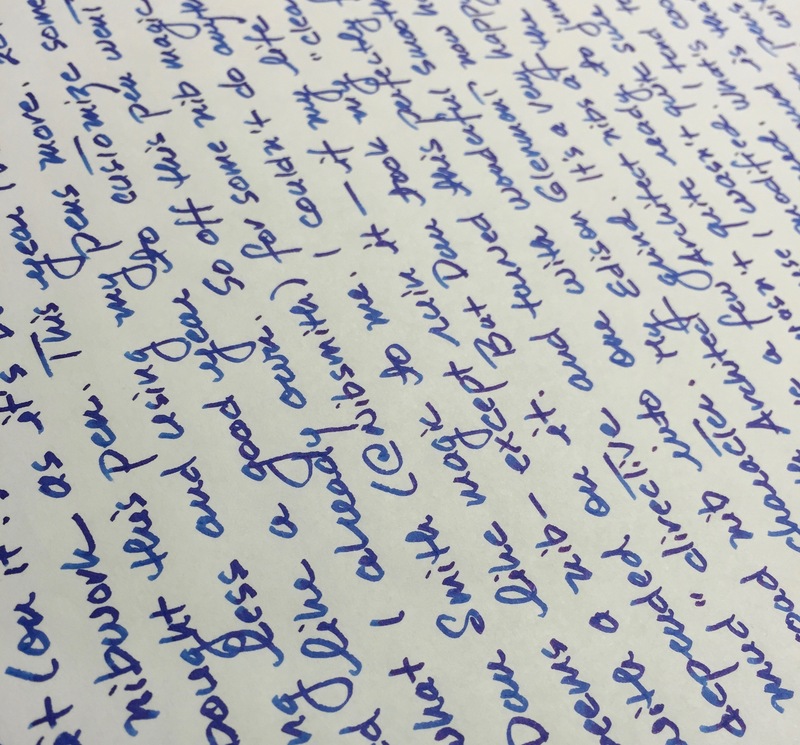 Upon receipt, I filled it with Montblanc JFK Blue Navy, and have been writing letters and journal entries with it often. I do not regret this purchase. 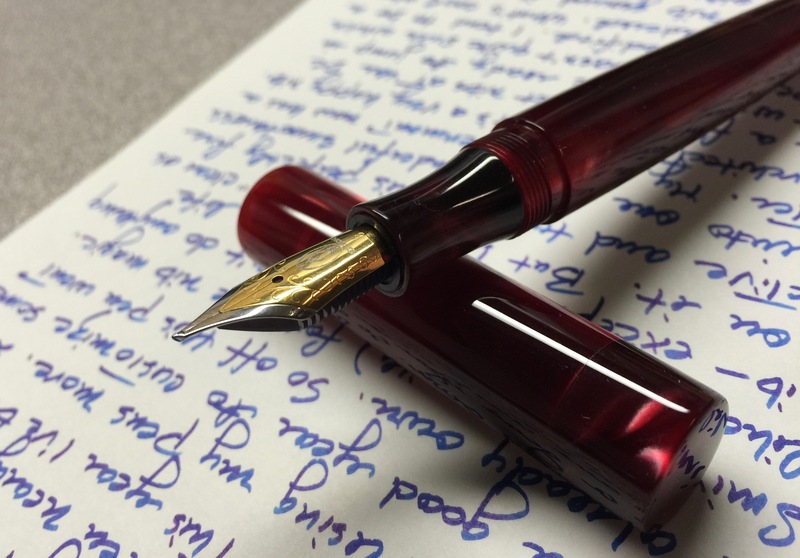 But sometimes I don’t buy the pen. And this year I’m going to do my best to do what I said I was going to do LAST year- to be happy with what I already have. To USE what I already have. To buy or not to buy. That will always be the question. 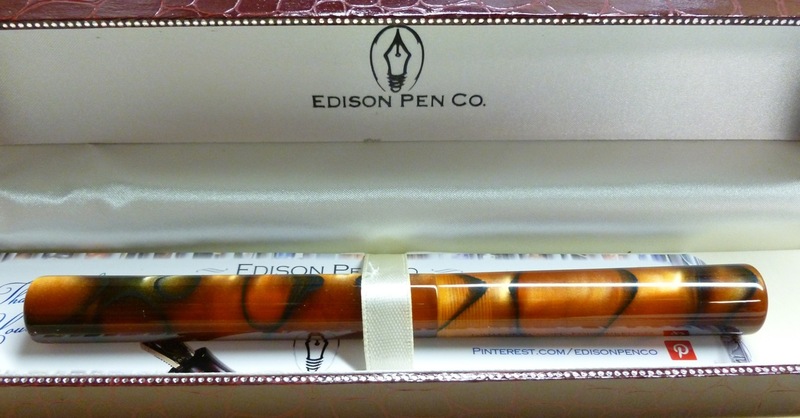 On Saturday April 27th, the planets and stars aligned JUST right and I miraculously won an Edison pen during the FPGeek’s FPtv Episode 69 Live Broadcast. When Stephen pulled my name out of the hat (yes, an actual hat), I did that thing that football players do when they score the winning touchdown. (And if you know me, you know that’s TOTALLY out of character.) The win was particularly cool, because the first name Stephen drew belonged to someone in the chat, and they, apparently, hadn’t stuck around long enough to see if they’d won. So a second name was drawn, and it was mine. Stunned. Serious stunnage. I was stunified. 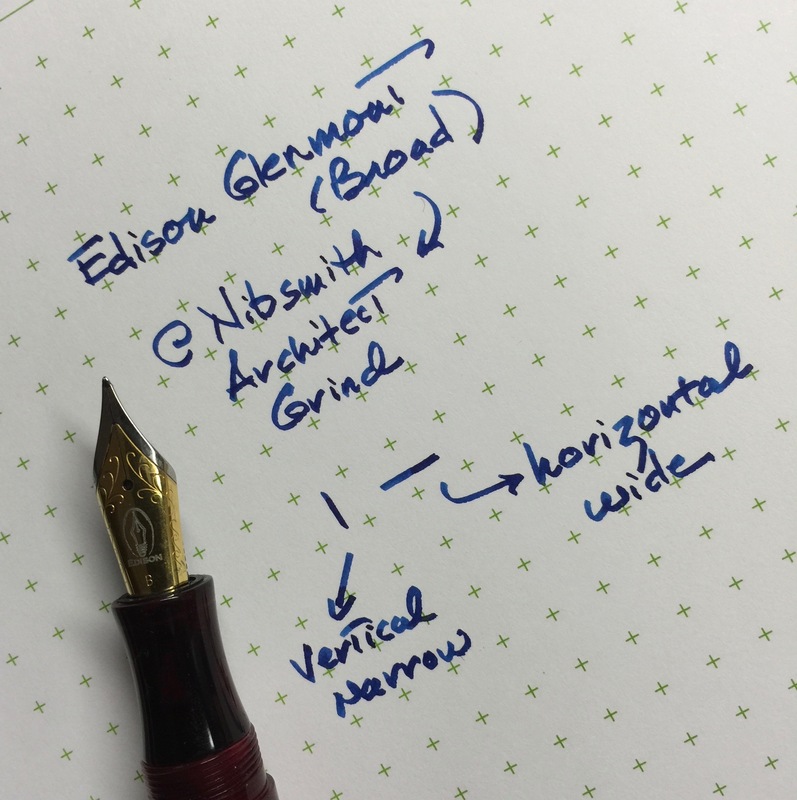 As the winner of the Edison giveaway, I was allowed to select any cartridge/converter, steel nibbed pen from Brian Gray’s current inventory (up to $250 value). Now THAT was a daunting/fun/colorful decision. 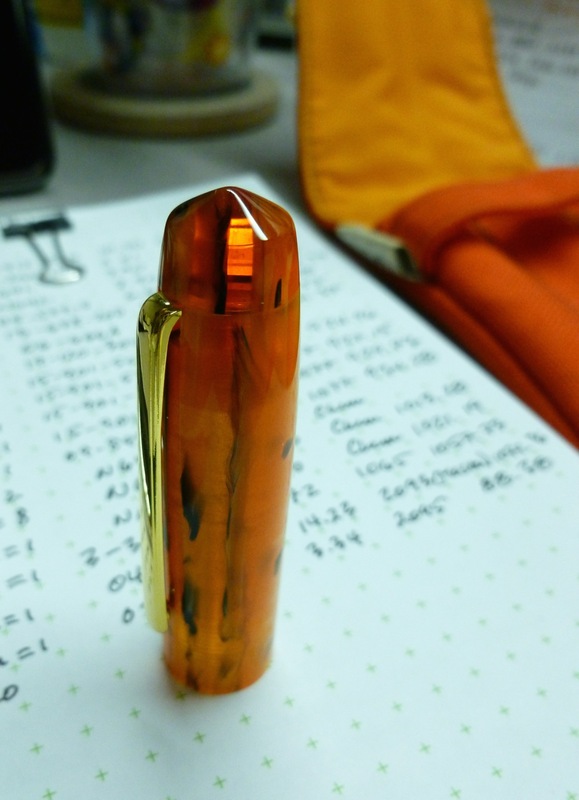 There were hundreds of pens to choose from (this was just prior to the Chicage Pen Show, luckily) and I flipped through the entire inventory a couple of times before narrowing things down. 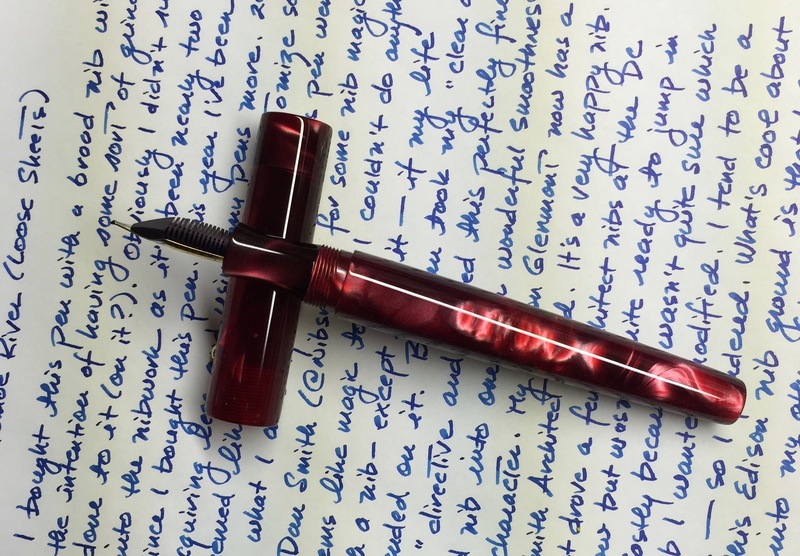 Ultimately I settled on the Extended Mina in Cinnamon Swirl Acylic, with my usual EF nib. 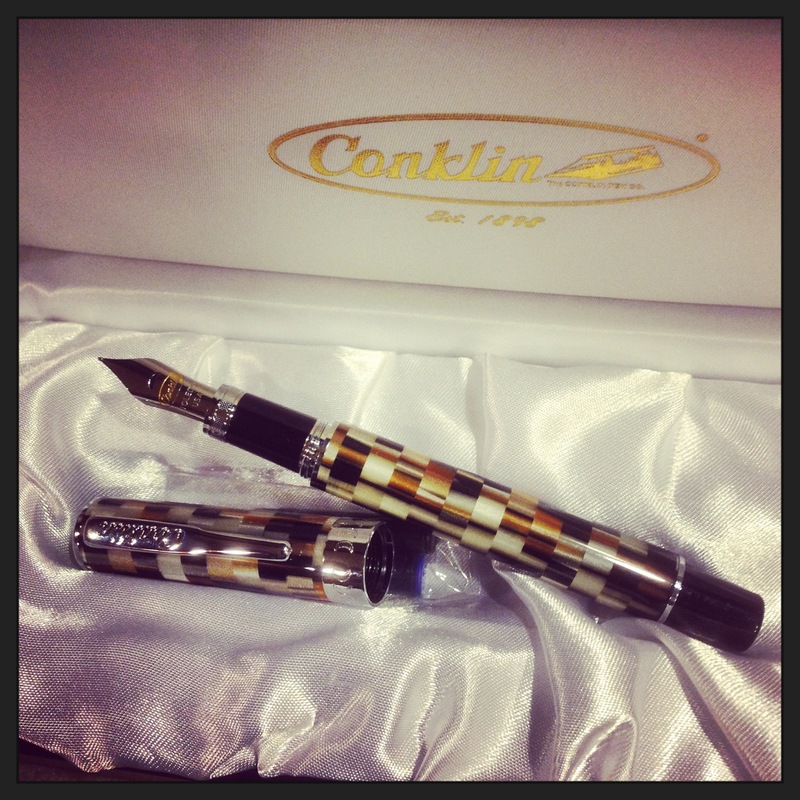 The pen arrived a few days later, and wow…just wow. This thing is gorgeous. When browsing through Brian’s inventory slides, I was quickly taken by the shape of the Extended Mina. 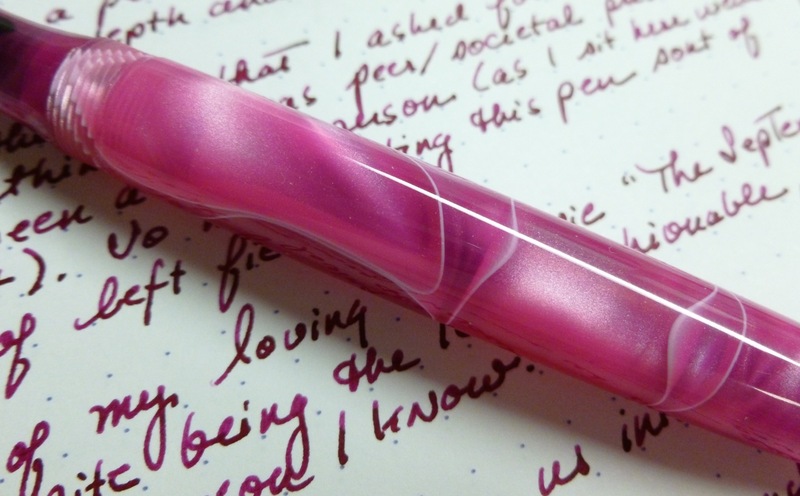 The pen gently tapers to the center so the ends are a bit thicker than the middle of the capped pen. 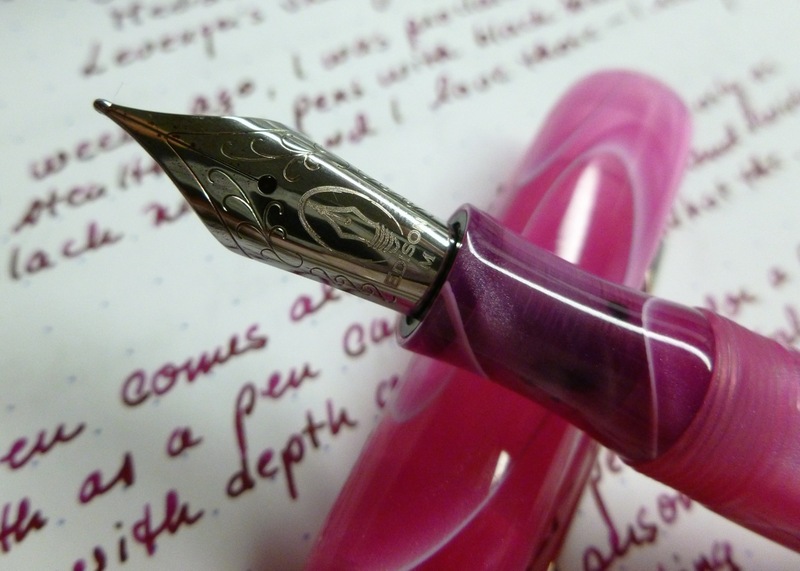 There’s no clip, and the pen cannot be posted, so if you require either of those features, this model is not for you. But it is definitely the one for me. 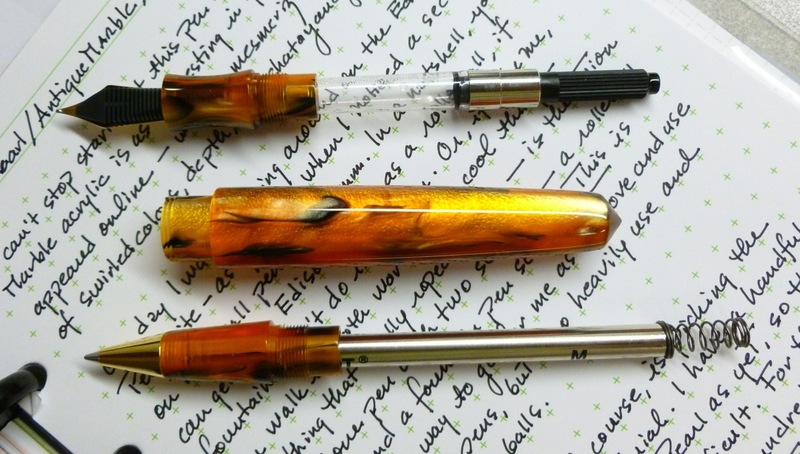 The look is clean and smooth, and the Cinnamon Swirl Acrylic makes it truly jaw-dropping. 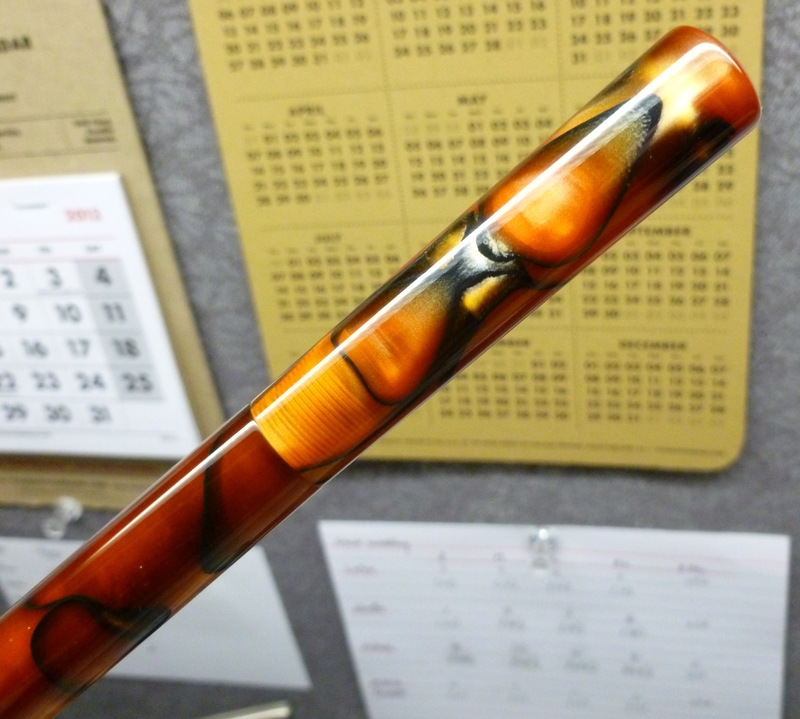 This particular swirled acrylic has amazing depth and sheen and translucency. I like how you can catch a glimpse of the threads through the cap. And the colors are “my colors.” Rusty oranges and greens and golds and blacky blues all swirled in a mesmerizing pattern. You can’t not look at it. The tapered section fits my hand perfectly. 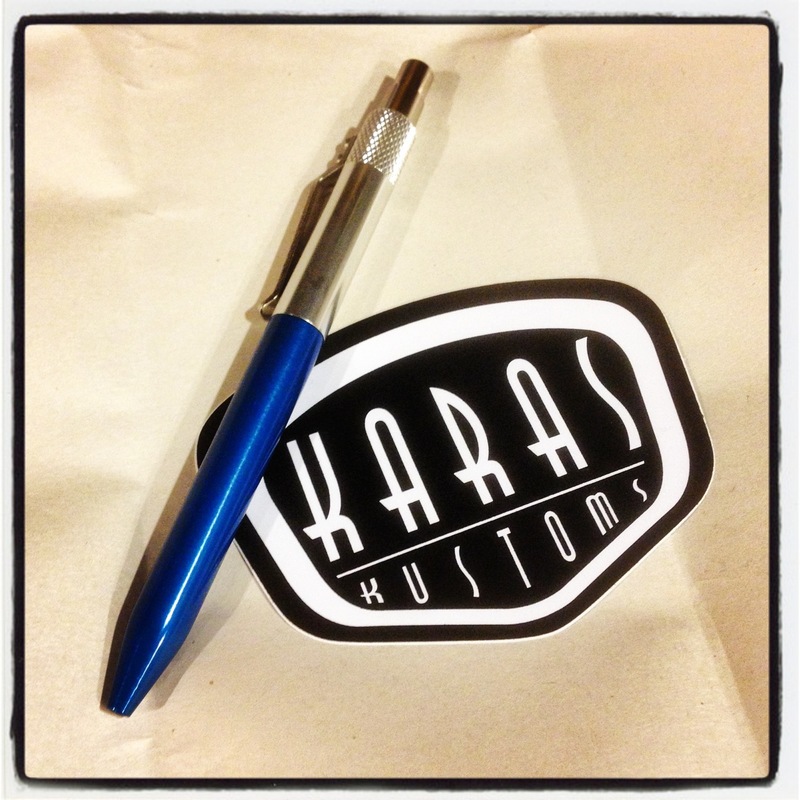 Holding this pen is like slipping on that perfect pair of sandals…the kind that make you exhale with comfort. (Obviously the Extended Mina and I were meant to be together.) 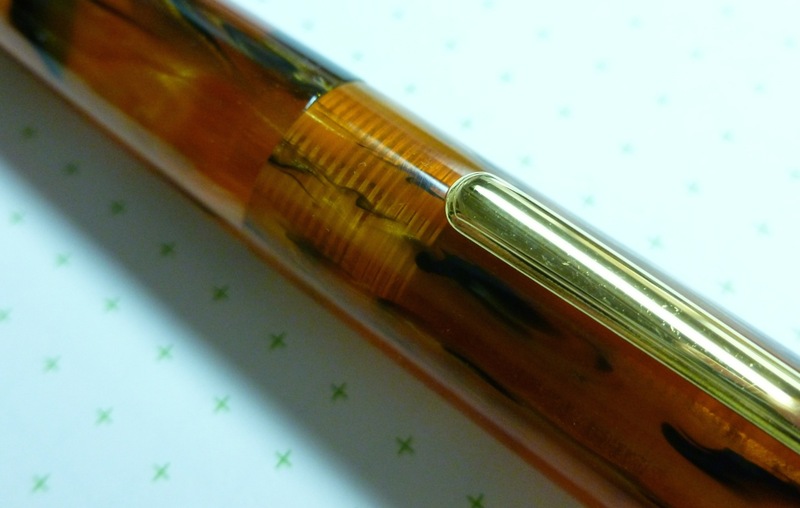 And this EF nib is wonderfully fine, perfectly fine…somewhat finer than the EF nibs I have on a couple other Edison pens. Which suits me…well…fine. 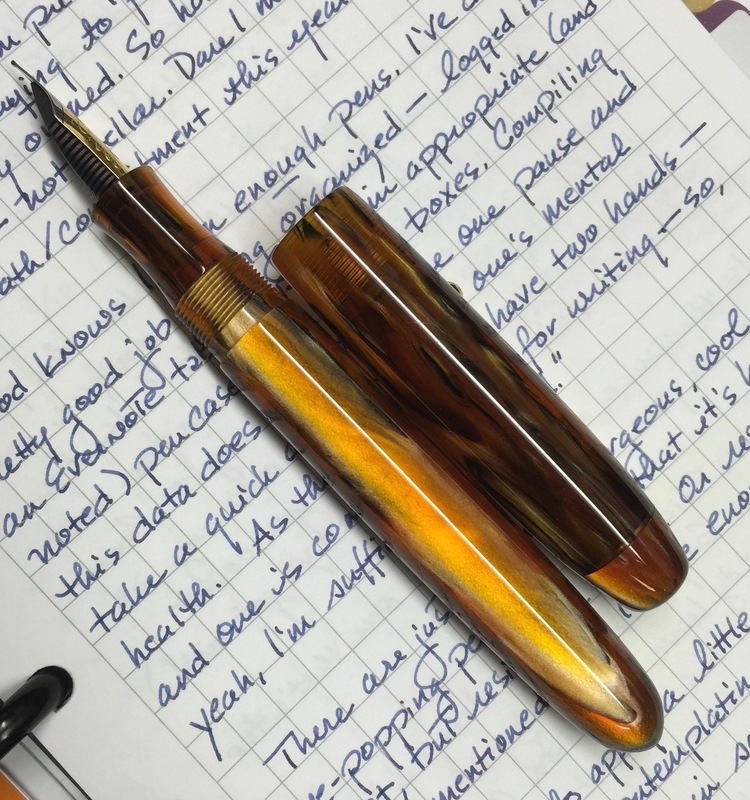 I couldn’t be happier with this pen. 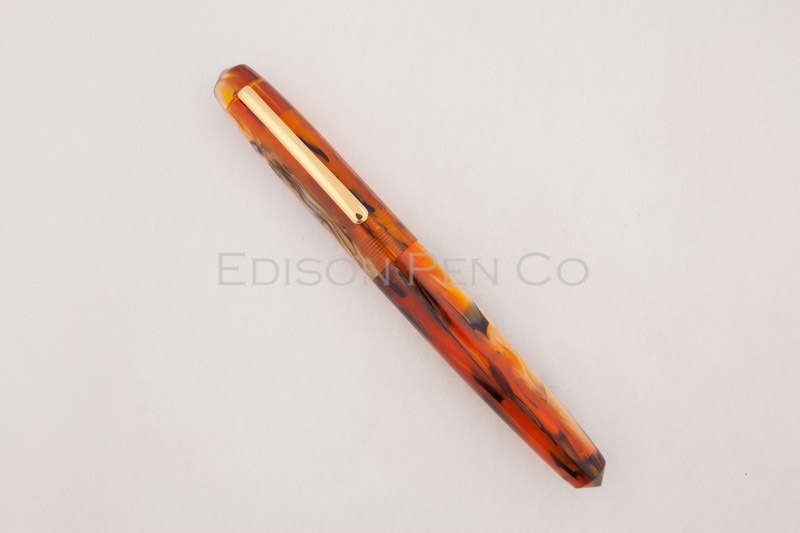 What’s cool about Edison pens (like this one, and my Collier in Persimmon Swirl) is that they totally ruin you for other pens. My wishlist doesn’t tug at me nearly as hard now that I’m using my Mina. Which is kind of nice. 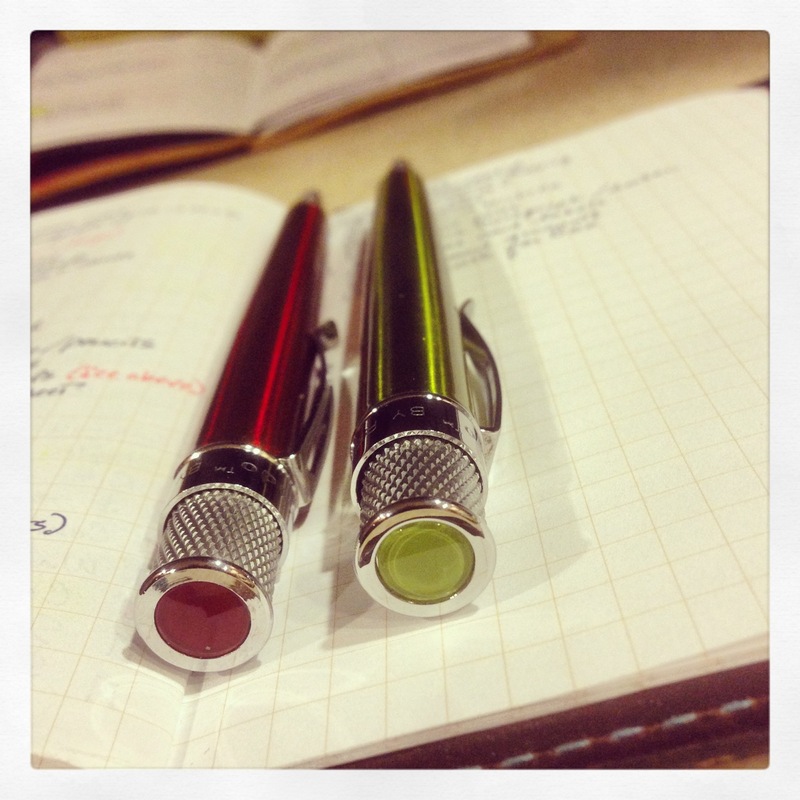 To feel pen-satisfied. 2) To value highly; esteem or treasure. And so this is my prized pen. This is my Edison Extended Mina. Pinch me. 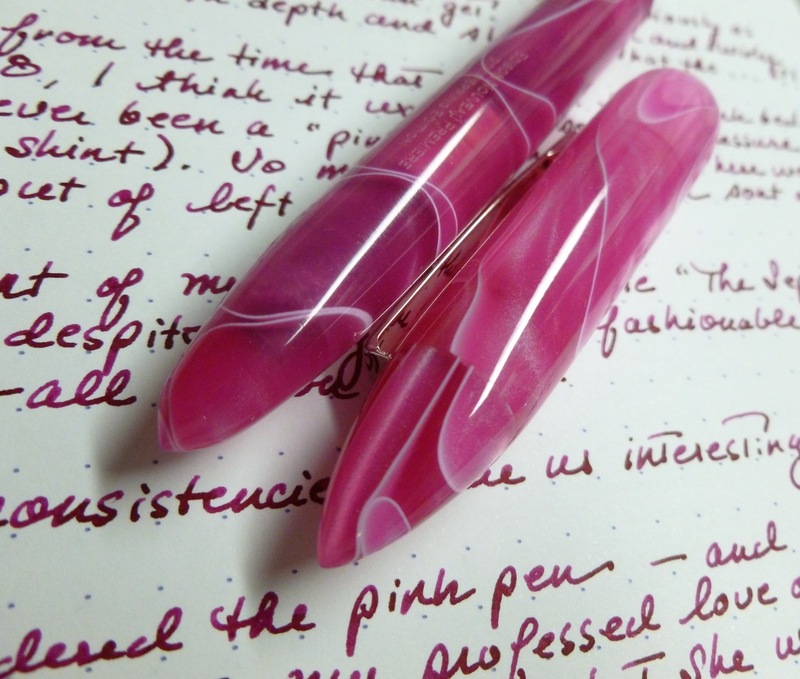 Apologies to Sinead O’Connor for stealing the song title to title this post, but I am dopey swoony over this pen. Like I miss it when I’m not around it. 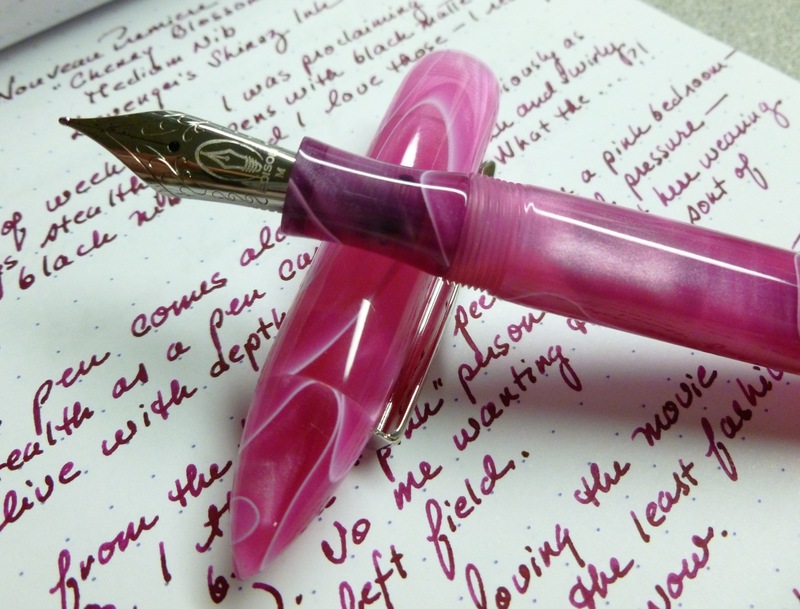 It has completely stolen my pen-loving heart. 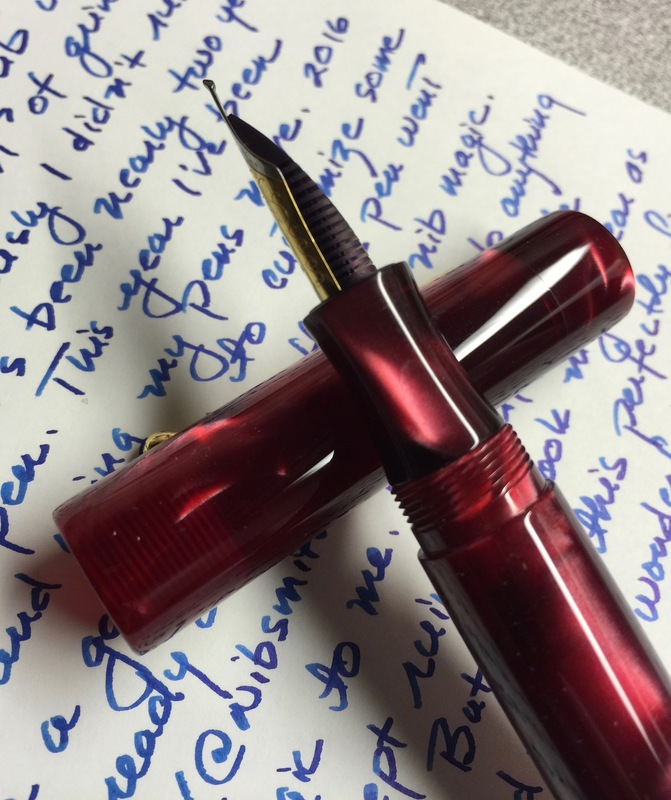 It has spoiled me for all other pens. This is serious, folks. 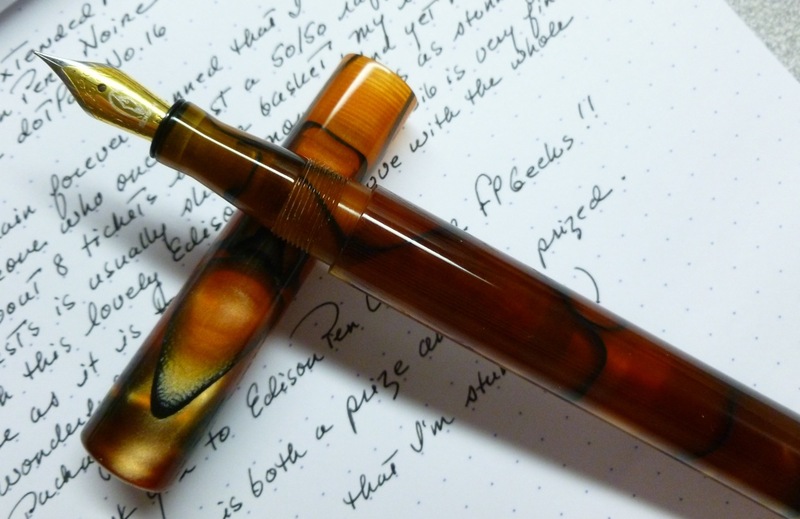 By listening to the Fountain Pen Geeks podcasts, I’m learning a lot about the fountain pen players, including Brian Gray (Edison Pen Company, the maker of this pen) and Brian Goulet (The Goulet Pen Company, the seller of the pen). 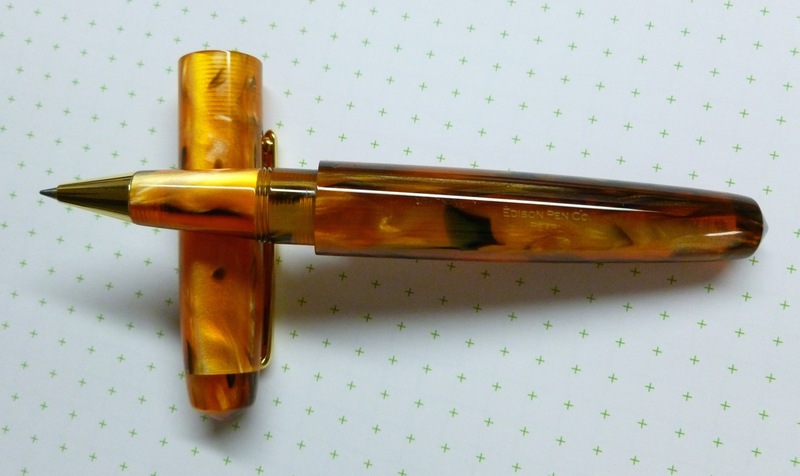 The Collier is one of Brian Gray’s production pens and is sold by The Goulet Pen Company, as well as a few other sellers. 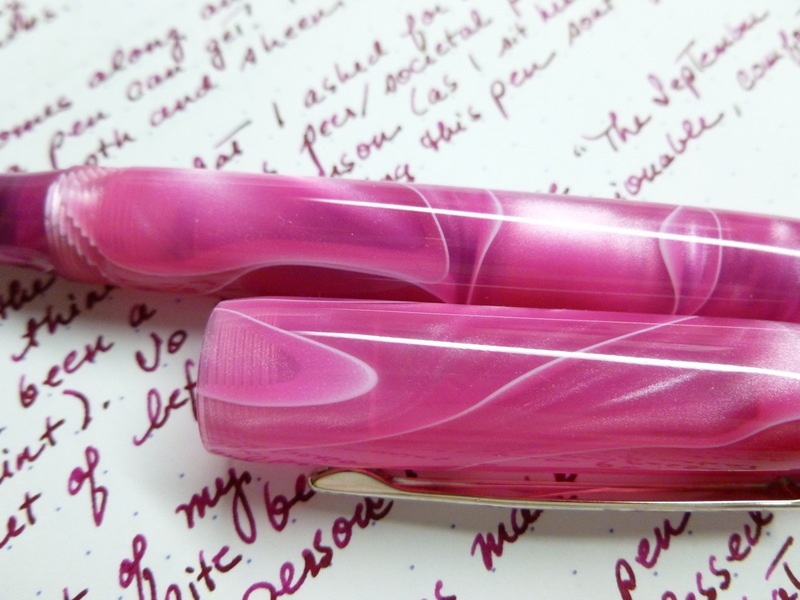 I love poking around on The Goulet’s website, and let me tell you, when I spotted this pen, my eyes popped out of my head, just like a cartoon critter’s. 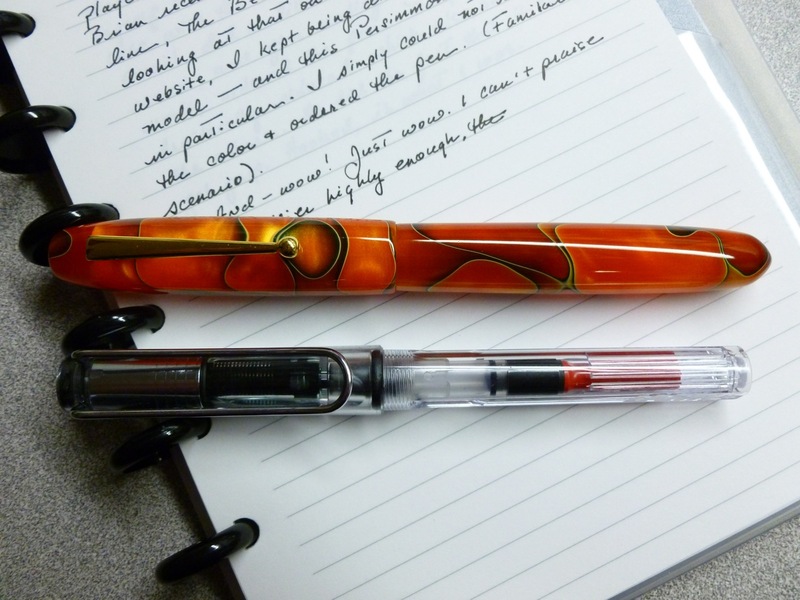 This is the biggest pen I own, but it’s wonderfully comfortable and fun to hold. 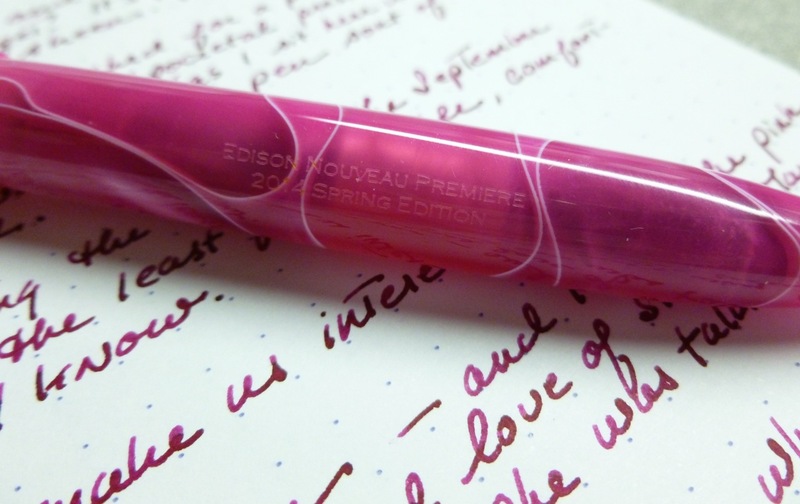 The section is perfectly shaped for my grip, so writing with it is a dream. A DREAM. 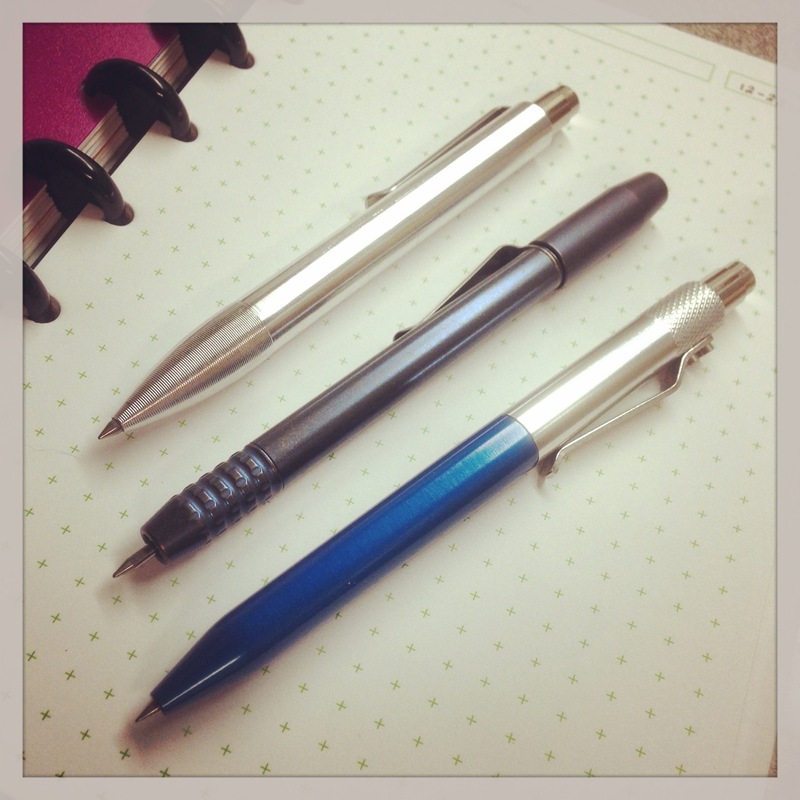 The #6 two-tone steel nib (fine) writes smoothly and without hesitation. The looks are truly killer. 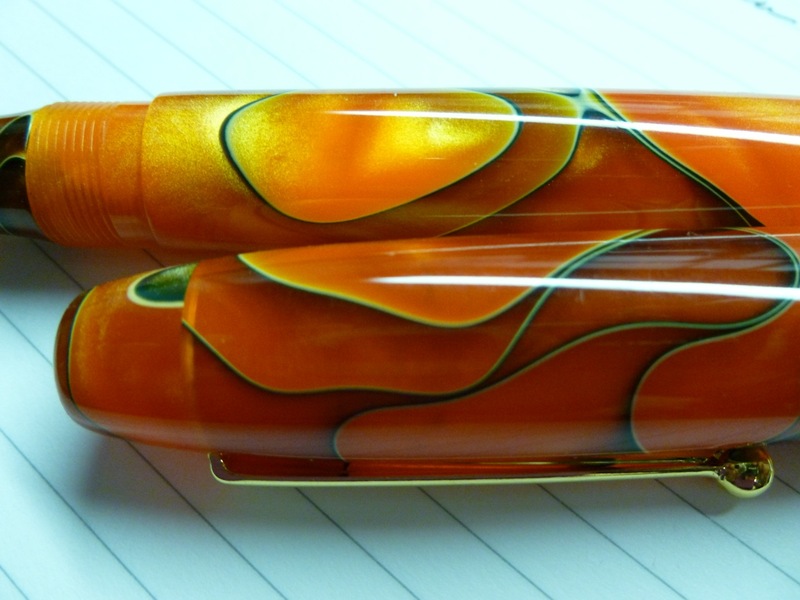 Photos don’t really do justice to the sheen and depth of the persimmon swirl pattern. The branding is simple and subtle. 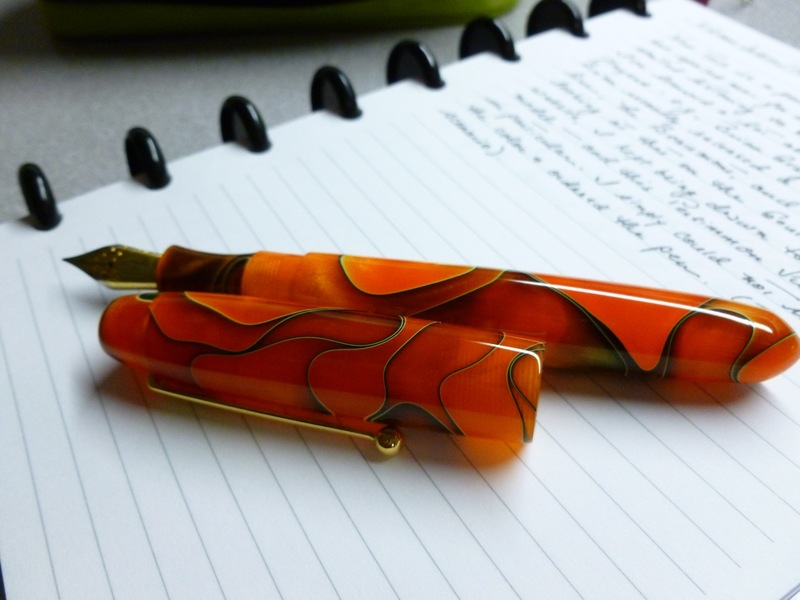 There is not one misstep with this pen. Not a one. I could blabber on like a fool all day long, but I think I’ll just let the photos do the talking. Edison Collier, I’ll say it again. Nothing compares 2 u. 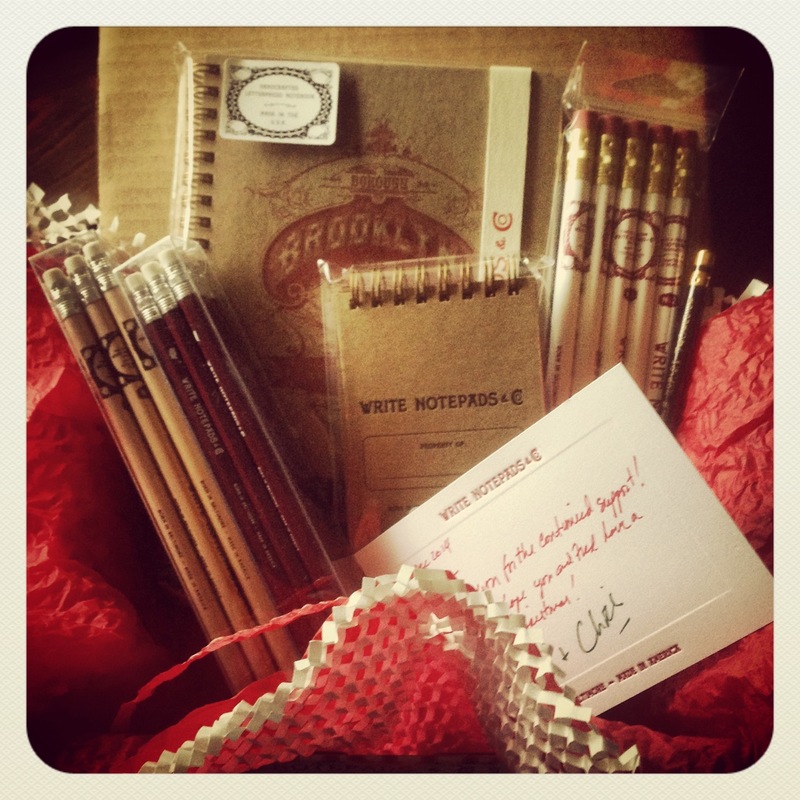 AND here’s a super review from another fan: Stephen Brown’s video review.